JM's skill has been proven over and over again by representing 10th Planet Jiu Jitsu, and Finishers MMA where it matters most; competition. JM is certified and ranked under 10th Planet founder and 3rd Degree Black Belt Eddie Bravo. Zach Maslany is a black belt under Eddie Bravo and is also a life long martial artist. He began his grappling career at age 16 after training in karate for several years. Zach attained the rank of 2nd degree black belt under Master Tiger Schulmann. He had a success as a kickboxer where we went 4-0-1 and also fought in the golden gloves going 2-1. In 2002 after a teammate dropped out due to injury Zach stepped up and fought in Reality Fighting 2 which was MMA in its early days and won the USMMA Flyweight title by TKO/head kick in Wildwood, NJ. 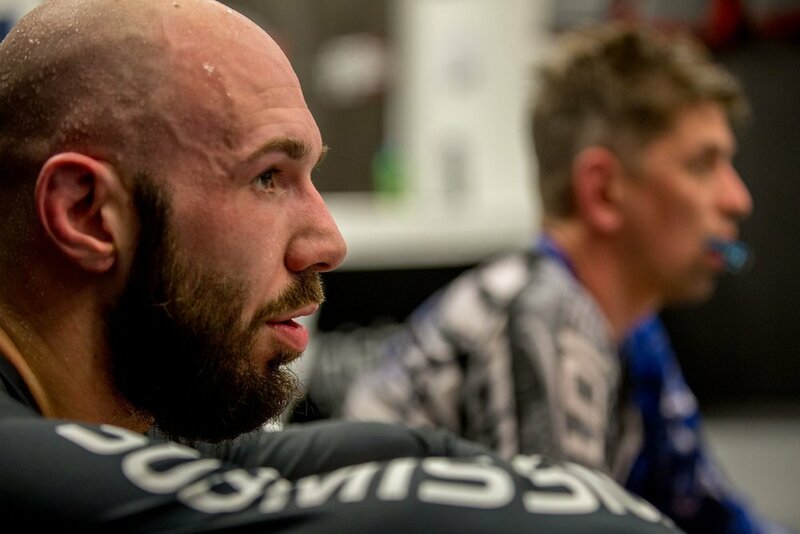 After losing the title by triangle he decided to dive deeper into no-gi jiu-jitsu for MMA. He found Eddie Bravo and 10th Planet jiu-jitsu around the same time as co-founder of Finishers MMA and 10th Planet Bethlehem, JM Holland. Zach traveled to Los Angeles to visit friends and periodically train under Eddie. In 2011 Zach competed at one of the first sub only events at the Rochester 10th Planet training camp and even though he wasn’t ranked in jiu-jitsu he defeated two purple belts eventually losing to a brown belt in the finals. Zach and JM had already known each other for years and wanted to bring a change to the Lehigh Valley and introduce a new way of bringing across high level martial arts to the area. They officially opened up 10th planet Bethlehem in 2012. Zach and JM have both gone from blue belt to black belt under Eddie Bravo. They have also helped to open 10th Planet Woodbridge, NJ, 10th Planet Long Island, NY and soon to be 10th Planet Miami and Newton, NJ. Zach as a coach has helped to produce champions in MMA and Jiu-Jitsu. He and JM have trained prolific students such as Grace Gundrum who is widely regarded as the best female teen grappler on the planet, and current welterweight EBI Combat JJ Champion John “Thor” Blank. Grace Gundrum is now 15 years old and is probably the best jiu jitsu player on the planet at her weight and age. This is no boast, Grace got her black belt in karate at just 6 years old. After a lack of progression in the art she decided to pursue jiu jitsu with Jon and Zach. 9 years later she is far and away the best teen female on planet earth. Jon Blank is one of the most talented individuals I have ever come across. Starting out as a wrestler Jon never had an interest in the GI. He came to us looking specifically for no gi jiu jitsu and he took to it like a duck in water. He has one recorded loss on his competition record to a world class black belt with more than double his experience. Gabe has been with us since the very beginning before we even had a physical location to teach in. Gabe has traveled all over the country training with everyone, gi and no gi. A Daniel Gracie brown belt, he has been an active competitor and dedicated instructor for the past 4 years. Practicing jiu jitsu since 2009, Gabriel has shown a deep devotion to the art and nothing makes him happier than teaching. We truly believe that with the proper guidance and hard work that Gabriel could be running his own school one day. "Everyone that has trained with Gabe knows how passionate he is. At the same time he is super patient and comes across as an equal not as a superior. I'm honored to have him represent us and help train our students, he has definitely proven that he is more than capable."